Special features include a rotating sleeve on the winding handle, which is easier to grip, making re-wind easier and more comfortable. 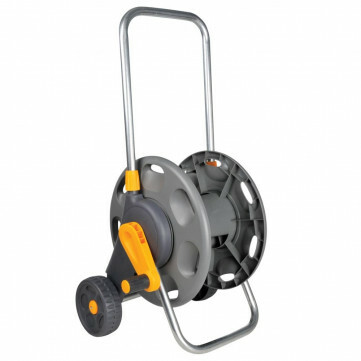 The cart also features thru-flow which allows water to flow through the hose while it is still coiled on the reel. Other useful features, such as hose end park points for tidy storage, have been retained in the new design. The cart will take up to 60m of Hozelock hose (not included) and includes 2 hose end connectors (2166). Please Note: this is a cart only, there is no hose included in this particular item.